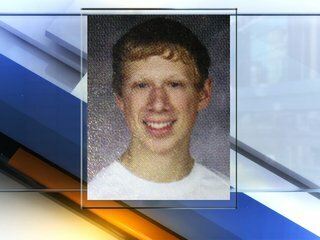 Authorities have identified 18-year-old Karl Halverson Pierson as the suspect gunman who opened fire at Arapahoe High School in suburban Denver, Colorado. Karl Halverson Pierson may have had a grudge against a teacher when he opened fire at school. Quick-thinking students alerted the targeted teacher, who quickly left the building. The scene unfolded on the eve of the Sandy Hook massacre anniversary, a somber reminder of the ever-present potential for violence in the nation’s schools. The wounded student, a 15-year-old girl, underwent surgery and is in critical condition. Authorities originally said a second student was wounded, but Arapahoe County Sheriff Grayson Robinson said Friday night that the other girl taken to a hospital was covered in blood from the first student and wasn’t injured. Grayson Robinson did not elaborate on any possible motive except to say Karl Halverson Pierson had a “confrontation or disagreement” with the teacher. He didn’t know if the injured girl was intentionally shot. Karl Halverson Pierson made no attempt to hide his weapon after entering the school from a parking lot and asking for the teacher by name, Grayson Robinson said. When the teacher learned that he was being targeted, he left “in an effort to try to encourage the shooter to also leave the school,” the sheriff said. Jessica Girard said she was in math class when she heard three shots. “Then there was a bunch of yelling, and then I think one of the people who had been shot was yelling in the hallway, <<Make it stop>>,” she said. Two suspected Molotov cocktails were also found inside the school, the sheriff said. Grayson Robinson said one was lit and thrown, but no one was injured. The school was swiftly locked down. Within 20 minutes of the first report of a gunman, officers found Karl Halverson Pierson’s body inside the school, Grayson Robinson said. Several other Denver-area school districts went into lockdown as reports of the shooting spread. Police as far away as Fort Collins, about a two-hour drive north, stepped up school security. Arapahoe High students were seen walking toward the school’s running track with their hands in the air, and television footage showed students being patted down. Grayson Robinson said deputies wanted to make sure there were no other conspirators. Authorities later concluded that Karl Halverson Pierson had acted alone. Nearby neighborhoods were jammed with cars as parents sought out their children. Some parents stood in long lines at a church. One young girl who was barefoot embraced her parents, and the family began to cry. The shooting came a day before the anniversary of the Newtown, Connecticut, attack in which a gunman killed 20 children and six adults at Sandy Hook Elementary School. Arapahoe High stands just 8 miles east of Columbine High School in Littleton, where two teenage shooters killed 12 classmates and a teacher before killing themselves in 1999. The practice of sending law enforcement directly into an active shooting, as was done Friday, was a tactic that developed in response to the Columbine shooting.